Question What is an Ai Doll? Answer An Ai Doll is a small bjd or ball jointed doll released by Jun Planning/Groove, they are made of ABS plastic and are slightly less than five inches tall. 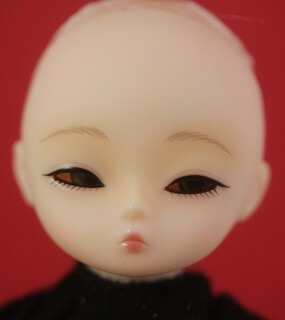 Question If Ai Dolls are bjds why aren’t they off-topic on Den of Angels (very large bjd forum)? Answer Den of Angels is a forum for resin bjds, they have very strict criteria about which dolls can be discussed on their forum. Ai Dolls are made of ABS plastic, so they do not meet the DoA’s on-topic criteria ie. they are not made of resin. Question Is there a place I can see a list of the different Ai Doll releases? Question Do all Ai Dolls have the same face sculpt? Which Ai Dolls have which sculpts? Answer Ai Dolls all come with one of three four different face sculpts, to my knowledge the different sculpts did not have different names so I have numbered them according to when they made their debut ie. face sculpt 1 is what the first release came with, face sculpt 2 is the second face sculpt to make it’s debut etc. 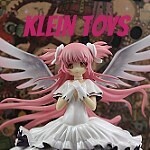 Question How large are Ai Dolls compared to Lati Yellows/Pukifees? Pukipukis? Can they share clothes with any of them? Answer Ai Dolls are unfortunately an in between size, they are larger than Pukipukis but smaller than Pukifees/Lati Yellows so they are unfortunately unable to share clothing with any of the other dolls for the most part at least with the dolls I had on hand. Question Are Ai Dolls still being made? Answer The last Ai Doll that was released came out in May of 2013, before that the releases had become increasingly sporadic. It is unknown at this time if the line is continuing but it has been almost a year since the last one was released so I think at this point it is unlikely that it will be. I just received phlox and blackberry. Blackberry’s face sculpt looks like sculpt 1 however it also looks like it’s made out of a different material than phlox. Do you know anything about this? We too have a Blackberry and her face is VERY different from the other Ai dolls we have. Not just a slightly different texture, but a very different color as well. I also have Blackberry and yes, her face is a different color & texture than other Ais I’ve seen (I own 2 other Ais, and a friend has a couple). I also own resin dolls, and to me, her face seems… smoother than the other Ai dolls. Almost like french resin. – what are the size of the eyes? – Is it possible to dye the doll wig ? and how? – Is there a website where they sell ai doll clothes and wigs (or same size clothes and wigs)? Congrats. 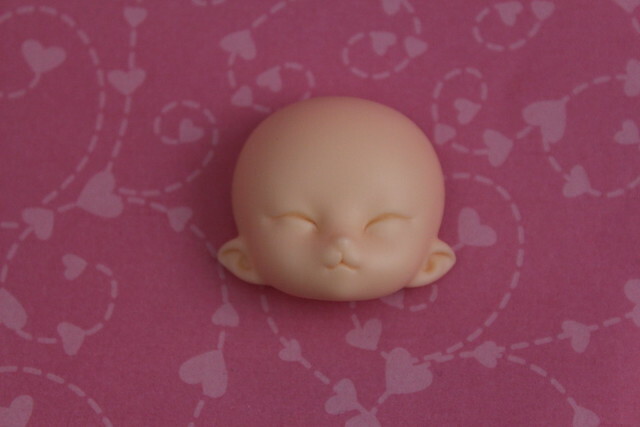 I believe the eyes are 10mm, they look to be roughly the same size as Pukifee eyes and I know they take 10mm. Wigs should be a 4-5, pukipuki wigs are 3-4 and they are too small, pukifee/lati yellow wigs are 5-6 and they are bit too big. Ai Dolls are way too small for Barbie or American Girl clothes, Ai Doll is 12.5 cm tall so roughly five inches tall, they are too large for Kelly (Barbie’s little sister) clothing the only thing I can think of off the top of my head that you might find in stores that would fit is this http://www.toysrus.com/product/index.jsp?productId=21655736&cp=&parentPage=search . Ai Dolls are unfortunately a rather odd size, depending how picky you are with fit, pukifee/Lati Yellow clothing should fit them it may be a bit baggy depending on the style though. The short answer on dying wigs is no, the long answer is yes with RIT dye but even if you manage to dye the wig the results are not desirable and will more than likely stain the doll when you put it back on the doll so I would not recommend it. lol, I had put up dyeing the hair in an Amazon review and will remove it from my comment. You saved me also from bad experimentation even though what I was going to use was for syn wigs will experiment on something less important. Ebay has some Ai clothes made by various seamstresses as well as some cute crocheted outfits, I would try etsy too. I’m still trying to finish my collection as much as possible and so I have stayed relatively quiet everywhere but reviews on Amazon. If the dye on the lesser wig works out will continue on to an Ai wig and put the results up here. I have English Ivy and like many of the Ai dolls has the silver white blonde hair that I am not a big fan of. Wanted to punk her out more with some burgundy streaks. You’ll be best off, for clothes, either making your own or buying clothes for 12cm Hujoo online. In-store, at least in the US, isn’t really an option for BJD tinies. Do the Puki’s have the same magnetic wig cap as the AI’s ? Will clothes from these dolls fit a Heidi Ott 5.5″ doll? I’m having a hard time finding contemporary clothes for the Heidi Ott doll. Most clothes are Victorian and I’m trying for a goth or punk look. I have never handled a Heidi Ott doll so I honestly can’t say with certainty but eyeballing it does seem like they have similar proportions so it probably would work, if you do end up trying it please let me know if they fit. Unfortunately, it didn’t work. The torsos, limbs, and feet of Black Baccara and Denphalae are at least 50% bigger than that of a Heidi Ott doll. The finishing on Heidi Ott doll clothes is impeccable while the Black Baccara dress was a frayed mess! Even the straps on both sets of shoes were frayed and the shoes were of slightly different sizes. Both were new, unopened dolls so I was very disappointed by their poor quality. I’ll have to look elsewhere for clothes. I’m so sorry it didn’t work out for you, thank you so much for updating though. I’ve never handled Black Baccara personally so I don’t experience with it’s quality, the worst I have personally seen or handled was my friend’s Rhodanthe who had dress sewn a bit crookedly my own Rhodanthe was fine so I think the quality may vary a bit from release to release. I am going mad trying to find a wig for my Ai…I know it’s 3-4″ but I’m looking for something in the light pink catagory…any suggestions on where to look would be greatly appreciated. Also, any ideas on possible matches for more hand options? As for outfits, I’ve found that Pureneemo xs/s shirts fit, they’re a tad long, but nothing horrid. Facets by Marcia carries some wigs in that size range http://www.facetsbymarcia.com/wigshop4.htm their ordering system is a little weird in that you email them what you want and they invoice you but I have ordered from several times without issue. I understand that the body is pretty comparable to pocket fairy bjds but I don’t own one myself to verify other than that I can say that Lati, Pukifee and Tiny Delf DO NOT work. That’s great to know about the Pureneemo shirts, I wish they had more compatible clothing options!